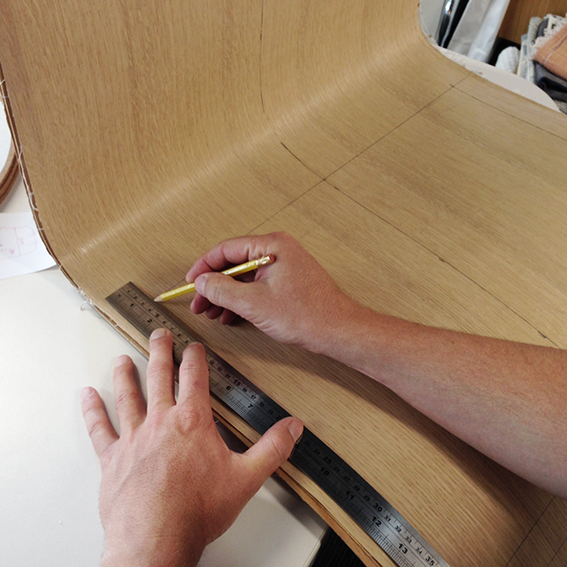 Dave is busy refining the shape, and dimensions for a new dining chair mould. He is calling today his 'arts & crafts day' as he works with a piece of cardboard, a pencil and ruler. It's not quite arts & crafts, but it's keeping him occupied!